RiccardoEstate writes"Riccardo is an entertainer, he is a singer/guitarist currently pursuing a solo career. "I don't consider myself to be just a musician , I'm an entertainer... The audience experience is what's most important to me"Riccardo's musical philosophy drives him to be the best, both musically and proffesionally, that he can be and you will find this in both his playing and stage presence.Riccardo began his musical life relatively young, playing saxophone as a guest in a few well established Melbourne bands when he was around the age of 14. Prior to this Riccardo obtained experience playing in an award winning big band, having the pleasure of once playing with well known jazz artist James Morrison. Since then Riccardo has developed his rock legs and had both played in and fronted various rock and blues bands as a lead singer and rhythm guitarist. Riccardo is also a prolific songwriter, his songs often tell a story, sourced from both experience and a vivid imagination. "I'm an observer of human behavior, often that reflects in my songwriting""I get a lot of enjoyment out of creating and performing music, but it's the enjoyment others get from my music that really 'tickles my goose'... I've finally figured out what all the noise in my head is, it's all the music trying to get out"http://riccardo.yolasite.com/"
GAM writes"Professional Photography for your album cover and inserts by an exhibiting photo artist. Perfect pricing for indie and unsigned bands and soloists. University trained and graduate of Visual Art so your images can be as simple or as "Art Directed" as you like, and tailored to your music style and direction. 13thbeach writes"Coloursound Recording Studio is Melbourne's newest professional recording facility. Catering to bands, freelance sound engineers and producers, the studio can handle basic pre-production recordings, through to full album releases. Equipped with classic and modern gear from AWA, Neve, Quad Eight, Sony, Lynx, EMT, AKG, Harrison, PYE, to name a few, as well as Protools HD. Located in the heart of Altona, Coloursound is hidden amongst shops, cafe's, and is within walking distance to buses, trains and the beach. So if you have an upcoming recording project, or your just curious for a look.....feel free to come down and check it out. ddrum SALE @ Pony Music and MEGADETH aftermath! some crazy deals on ddrum items until Xmas Eve 2010. Hell we'll even do some crazy deals on DEAN Dave Mustaine guitars to keep the MEGADETH theme running! website are NOT these Sale prices and links are for product information only. Shipping extra. Please call us on 039702 3244 to discuss your order or requirements. - both signed by Shawn himself! only 2 came into the country! Gold Sparkle - one of a kind USA kit. 1 x kick drum, snare and Hardware Pack. Blue Sparkle and Black Sparkle avail in 7pce configuration. ddrum REFLEX Kit - NEW RELEASE! also available in ICE Sparkle finish. fully adjustable - also suits LEFTIES. Logo backpack with zip off stick bag. Awesome for gigs or everyday use. 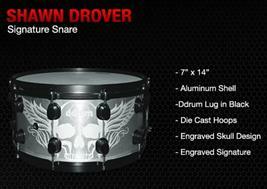 PLENTY MORE ddrum Items in Stock and ON SALE ! Check out our website www.ponymusic.com.au for more products!